We’re here to connect you to information and resources to make your entrepreneurial enterprise a success. Starting a business in DeKalb County allows you access to resources and services offered by the DeKalb County entrepreneurial ecosystem. Business planning, counseling and mentoring is offered by Fox Valley SCORE, NIU EIGERlabs, and Waubonsee Community College’s Small Business Development Center. The DeKalb County Business Incubator is available to assist home-based and startup businesses in that transitional phase by providing office space to nurture growing ideas. The Chambers of Commerce and Business Associations (DeKalb, Sycamore, Genoa, Kirkland, Waterman-Shabbona, Hinckley, Sandwich, around the county are eager to welcome and network businesses for long-term success. Kishwaukee College offers business education and training events for DeKalb County businesses. Our economic development partners (Sandwich EDC and http://dcedc.org/) facilitate the overall business retention and attraction efforts to leverage our county’s assets for business growth across all sectors. 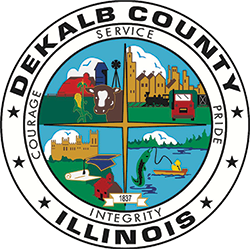 For more information on small business resources and information available to you in DeKalb County, please contact Jolene Willis, Economic Development Coordinator.